Insafe offer a range of deposit features for different cash, packages or letters. 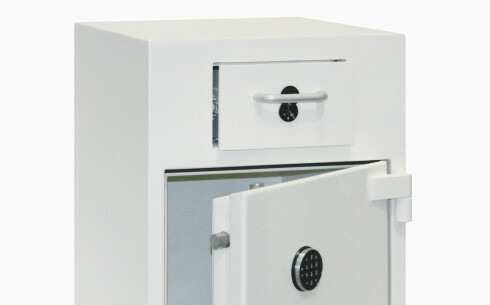 Our deposit safes, or drop safes, can be produced to meet a customers exact specifications. An example for high risk environments such as petrol stations or off-licences would be the need for a safe to be located in a cash office or store room on the other side of a wall to a customer facing counter. In these cases we have adapted a safe to incorporate a through-the-wall tube so cash can be to transferred safely and securely without compromise to its contents. 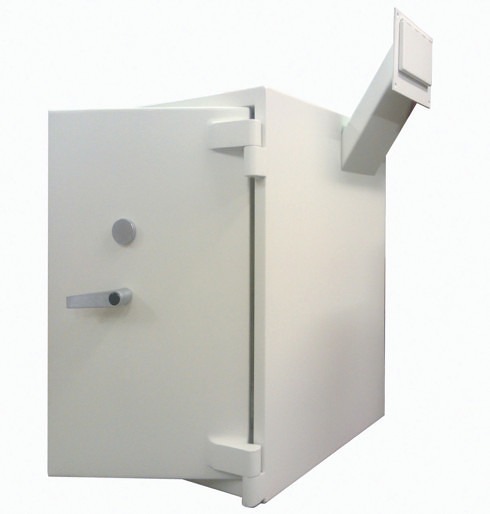 We design and produce various deposit safes mainly for our retail customers. The use of a deposit system allows cash to be deposited instantly into the safe and be secure without having to open the safe and expose the contents to risk. Each deposit safe is made to accept a specific type of package. At our Britannia Works factory in Wolverhampton we can add a variety of deposit features to a safe. Also called ‘through-the-wall’ deposits. These are often used in stores where the safe is held in a strong room or cash office away from customers. Cash is fed into the tube and deposited through a wall and into the safe. This is a very secure way of depositing cash in a high risk environment to another low risk room. 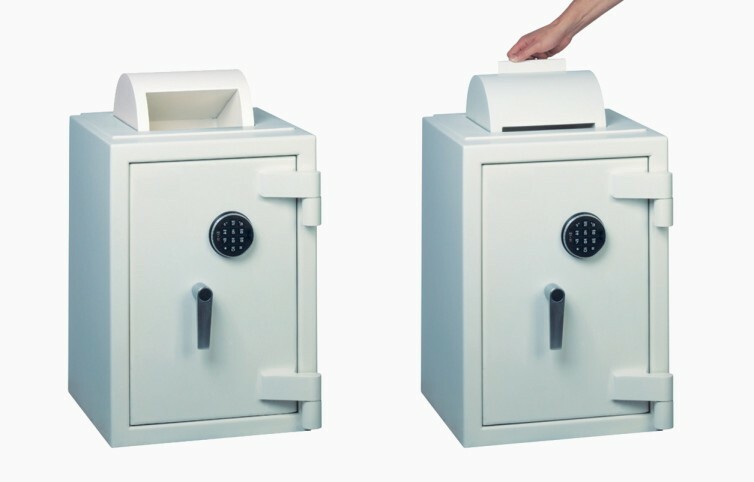 This rotary deposit system has a drum in the top of the safe which can be opened, the cash inserted and closed. As the drum closes it drops the cash into an inner compartment. Insafe EuroGrade safes can be built to incorporate a certified EuroGrade drawer deposit. This will allow it to retain the insurance recommended cover on the safe. This is particularly important for customers requiring a higher protection for larger sums of cash. 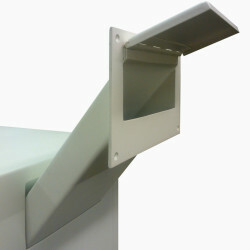 A simple letter slot can be added to the top or front of the safe. Your safe. Your choice. Your style. 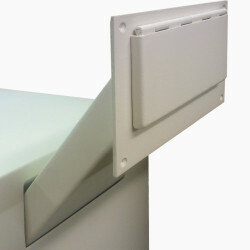 Our Product Development Team provide solutions to safe and lock problems. Our Training Academy ensures our Engineers and Locksmiths are always up-to-date with products. Our in-house Safe Engineers are all fully and continually trained by the Insafe Academy. Insafe are an approved member of the Master Locksmiths Association (MLA). Insafe supply and install all grades of Vaults, Strongrooms and Doors. 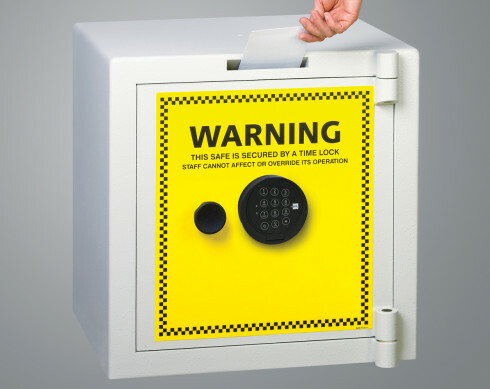 The Insafe logo, Insafe-Guardian logo, HomeGuardian, TCA safes and the statement “Tested. Certified. Approved. Safe.” are all Trade Marks of Insafe International Limited. All cash, jewellery and valuable ratings are recommended. Positioning of the safe, type of premises, location and other security measures may also affect ratings. Detail, imagery and specifications contained within this website may vary. All dimensions, weights and capacities are approx. All telephone calls are recorded for quality and training purposes. Please enter any helpful information, ie. installation requirements, bespoke features, etc.